Ontario Provincial Police officers stopped and checked more than one million vehicles during the 2010-11 RIDE program and charged 294 people with impaired driving — virtually the same as during last year’s campaign. In a Tuesday statement, RCMP said 20,774 vehicles were stopped during their month-long seasonal checkstop program, which ended Sunday. Of the drivers stopped, 115 were charged with impaired driving-related crimes. That’s more than in 2009 when 108 drivers were charged out of 19,232 vehicle stops. Virtually the same program, over the same roughly month-long timeframe. One huge discrepancy in the ratio of drivers stopped to drivers charged. 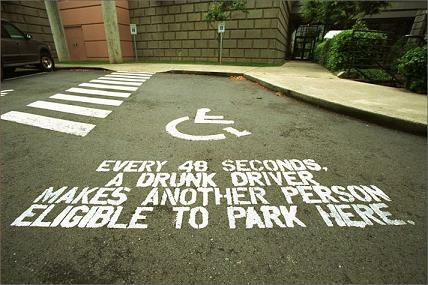 These numbers don’t speak well for Manitoba’s drinking and driving issue. What would happen if our police had the resources to stop a million drivers in a month? Discouraging numbers. Something obviously is not working in Manitoba. Is there any further breakdowns on the Manitoba numbers? What I read into this is that Manitoba RCMP are being more selective in choosing which drivers to pull over, i.e. hanging out near bars at closing time, perhaps something similar to what city police are doing. I put forward the argument that this is a more effective way of dealing with the issue. Just over one half of 1% in the case of Manitoba. Not even statistically significant in the Ontario example. What is a reasonable target for these numbers? How are they discouraging? The way they are gathered,or as Paul says the wildly different enforcement techniques make these comparisons completely irrelevant, and statistically useless.